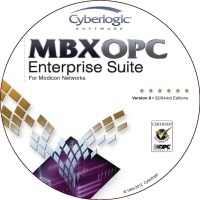 Get all the features of the MBX OPC Server Suite and the powerful data-manipulation capabilities of Math & Logic in one integrated package. The MBX OPC Premier Suite adds full Math & Logic capabilities to the Cyberlogic OPC Server. 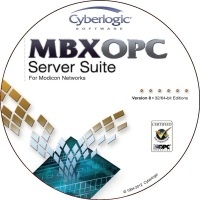 The server can provide data to both local and remote OPC clients. 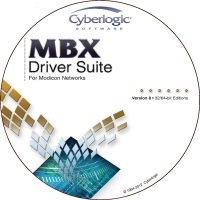 Data flow can continue with minimal interruption as the server automatically switches between between primary and backup devices on Modbus RTU, Modbus ASCII, Modbus Plus, and Modbus TCP networks as connections fail and are restored. Custom-written C-Logic™ programs can scale values, manipulate strings, and transform data before it's transmitted to a client.